I’ve got a fantastic recipe to share with you today!!! First off, in case you didn’t hear, my new eBook Pleasure Meditation: Your Guide to Joyful Stress Reduction launched last week! The reviews have been awesome and I am so grateful to everyone who got a copy and helped spread the news about this simple 3-minute guide, that teaches you exactly how to boost your feelings of pleasure AND melt away feelings of stress. It’s changing people’s lives (and goodness knows we could all benefit from feeling less stress!). Thank you!!! To show my gratitude, I’ve decided to keep it on sale for 99 cents for another week. Grab it up if you haven’t already. Click the following links to hear my podcast interview on Wellness Force Radio and video interview on SoulGarden Health. Okay, recipe time! 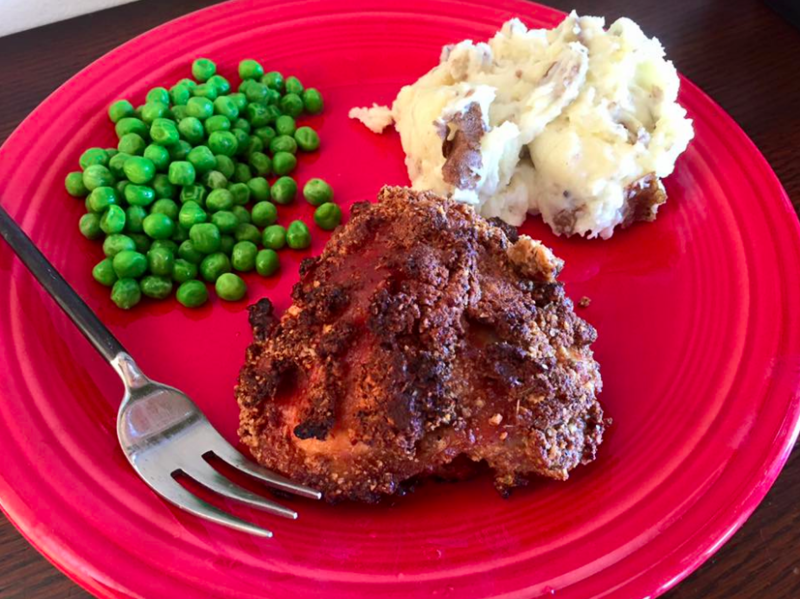 My hubby’s favorite birthday meal from his childhood is fried chicken, mashed potatoes, and peas. Prepare an oven grilling tray. You can use a lined baking sheet and set a grill rack on top. Brush some butter or olive oil on the grill so the chicken won’t stick (I just used my ceramic baking tray and the chicken didn’t really stick to it and it came out nice and crispy). Add paprika to one half and mix this well into the chicken pieces. Set aside. Take the other half of the seasoning and mix with almond flour in a bowl. 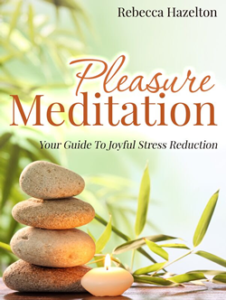 I am thrilled to announce that my new eBook Pleasure Meditation: Your Guide To Joyful Stress Reduction is available! Grab a copy and spread the word–this book is for anyone and everyone who wants to reduce stress in an easily accessible way that FEELS GREAT! Available for a limited time for only $.99. To learn more about it and some great health tips, check out this interview!